For many who are new to the study of Christian history, Jerusalem, which we covered in the previous chapter, may seem like a natural enough place to begin a discussion, but Athens and Rome, which will be covered in this and the next chapter, may be unexpected choices of location. It is tempting to ask, along with the early Christian writer Tertullian, “what indeed has Athens to do with Jerusalem?” We will see. The story of Athens, like that of Jerusalem, does not begin in that city itself, but in another place, Miletus, which is located in the modern day country of Turkey. It was there, on 28 May 585 BC that Western philosophy and science, the twin pillars of Western civilization, were born together. 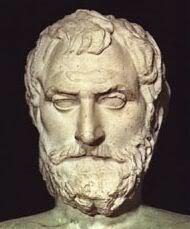 Thales of Miletus was able to predict beforehand that a solar eclipse would be visible that day. The crowds were shocked by his apparently magical ability. The truth was that he had been able to predict the eclipse because of his close observation and documentation of natural events. Solar eclipses recur on a steady cycle and Thales was the first person to figure this out. Because of this, and because of his other observations and speculations about the nature of the world, he is credited with being the first Greek philosopher and scientist. From the tradition that he founded, all of the philosophy and science for which ancient Greece is famous grew up. 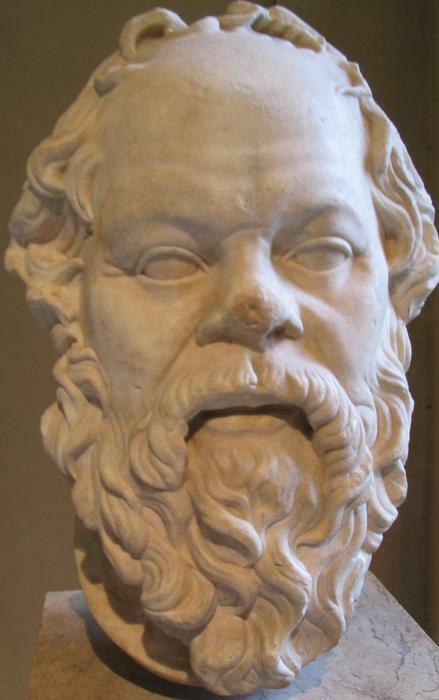 Socrates had a greater influence on Greek philosophy than any other ancient Greek philosopher. His influence was so great that his name is more famous even than Thales, the man who founded Greek philosophy! Ironically, though, Socrates never wrote down a single thing that he said. He conducted his philosophical investigation entirely in verbal discussions with others and, interestingly, he spent most of that time asking questions rather than making statements. Socrates’s disciple Plato, though, was a very prolific writer and it is through Plato’s writings that modern people have access to the philosophy of Socrates. Plato also added his own ideas to those of his teacher. Plato, like Socrates, was especially concerned with the relativism that had become popular among Greek philosophers. They had come to view all things, including perceptions of the material world, ideas, concepts, and morals, as entirely subjective. As a result, many of them taught that there was no truth or that many mutually incompatible ideas could each somehow proven to be “truth.” Plato saw how dangerous these ideas could be to the development of a sound philosophy and so introduced his theory of the Forms. It is not necessary to explain his theory at length here, but it is sufficient to say that Plato’s theory was intended to provide an objective basis for knowledge, beliefs, and morals. Plato’s disciple Aristotle was also a prolific writer and developed a philosophy very different from that of his teacher. Aristotle’s primary focus was on a rational understanding of especially the material world through a system of logic and observation. Socrates, Plato, and Aristotle were the three most influential and important ancient Greek philosophers and the ideas of each would contribute significantly to the development of Christian ideas later on. Athens is special to the history of Christianity and of the Western world in general not only because of its philosophers, but also because of its politics. At an early date in Greek history, Greeks had developed a dislike for monarchy, the rule of a single king, which was the standard form of government in the ancient world. As a result, the various Greek cities, each governing itself, developed different alternative forms of government. The Spartans, for instance, developed a system which involved dividing rule between two kings who were equals and both of whose consent was necessary for decisions to be made. The government of Athens, the world’s first democracy, though, has had the longest lasting impact of any of the Greek forms of government. It was because of Athens’s democracy that so many different ideas and styles in philosophy, in literature, and in art were able to be produced by its citizens. Democracies, because they involve the participation of all the people and so necessarily have to allow all people to speak more freely than other governments allow, tend to produce a greater quality and diversity of such achievements and Athens is the first and one of the greatest examples of this. Later, from 336-323 BC, the Macedonian king Alexander the Great, whose teacher had been Aristotle, was able to unite all of the Greek cities under a single ruler, himself. Under his leadership, the Macedonians conquered all of Greece, the Persian Empire, and much more. It was through his conquests that Greek culture, with its philosophical tradition, first came into contact with the culture of the Jews. 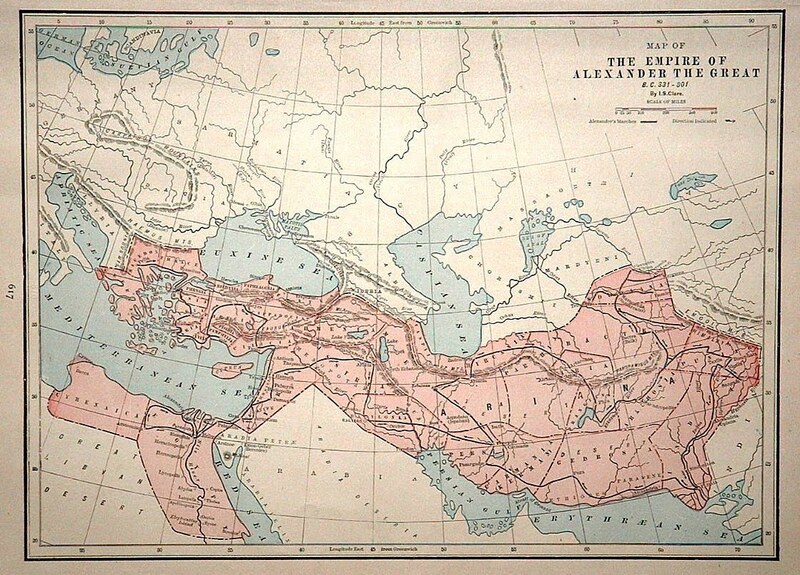 After Alexander’s death, his empire was divided up between his generals. Ptolemy II Philadelphus, the son of one of these generals, later reigned over his kingdom from Alexandria, Egypt, to which a number of Jews had migrated. He ordered the famous translation of the Jewish Bible from Hebrew into Greek. This translation, known as the Septuagint, was the version of the Bible used by most Jews in the time of Christ and which would continue to be regarded as sacred and used by Christians. It was also in Alexandria, especially in the century before Christ, that a new philosophy which combined Judaism with Greek philosophy was developed. This philosophy, which used the terms and concepts of Greek philosophy to explain and interpret the Jewish Bible, would be very important for later Christians who would build on the work of those original Alexandrian Jewish philosophers in their own attempts to make their ideas understandable for both Greeks and Jews. So let’s turn back to Tertullian’s question which we asked earlier, “what indeed has Athens to do with Jerusalem?” The answer: A lot. Aristotle. The Basic Works of Aristotle. Edited by Richard McKeon. New York: Random House, Inc., 2001. Cahn, Steven M., editor. Classics of Western Philosophy, 3rd Ed. . Indianapolis: Hackett Publishing Company, Inc., 1977. Coplestone, Frederick. 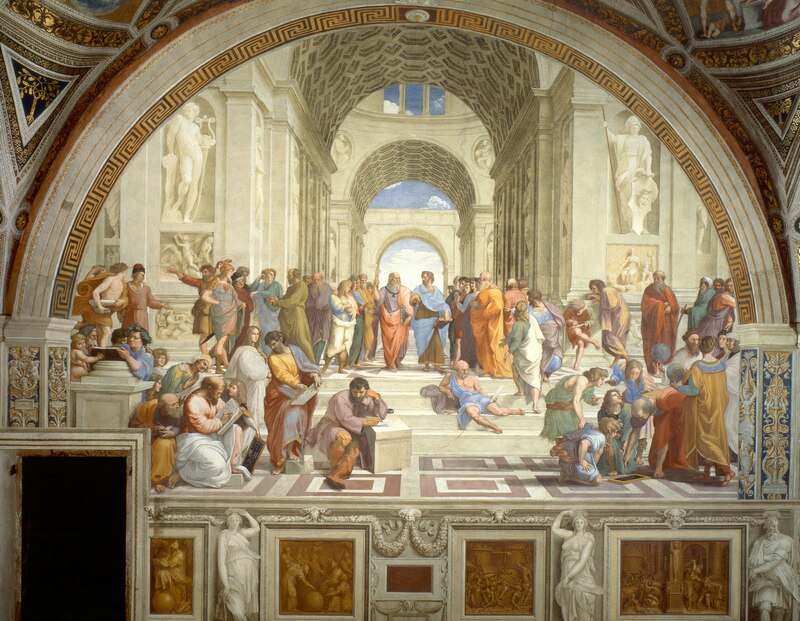 History of Philosophy, Volume I: Greece and Rome . Mahwah: Paulist Press, 1946. Herodotus. The Persian Wars . Translated by George Rawlinson. New York: Random House, 1942. Hesiod and Theognis. Hesiod and Theognis: Theogony, Works and Days, and Elegies . Translated by Dorothea Wender. New York: Penguin Books, 1993. Hillegass, C.K. Mythology . Lincoln: Cliffs Notes, Inc., 1990. *Kitto, H.D.F. The Greeks . New York: Penguin Books, 1991. Morkot, Robert. 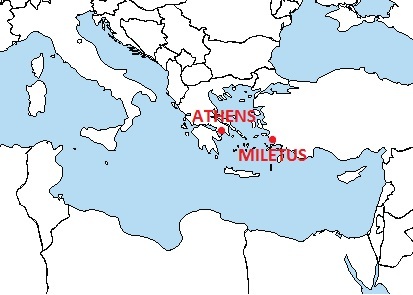 The Penguin Historical Atlas of Ancient Greece . New York: Penguin Books, 1996. Plato. Republic . Translated by Robin Waterfield. New York: Oxford University Press, 1998. Plato. The Last Days of Socrates . Translated by Hugh Tredennick. Middlesex: Penguin Books, 1986. Pomeroy, Sarah B., Stanley M. Burnstein, Walter Donlan, and Jennifer Tolbert Roberts. Ancient Greece: A Political, Social and Cultural History, 2nd Edition. . New York: Oxford University Press, 2008. Raeper, William and Linda Smith. A Brief Guide to Ideas: Turning Points in the History of Human Thought . Oxford: Lion Publishing plc, 1991. *Russell, Bertrand. The History of Western Philosophy . New York: Simon & Schuster, 1972. Sophocles. The Three Theban Plays: Antigone; Oedipus the King; Oedipus at Colonus . Translated by Robert Fagles. New York: Penguin Books, 1984. *Tarnas, Richard. The Passion of the Western Mind: Understanding the Ideas that Have Shaped Our World View . New York: Ballantine Books, 1993. Thucydides. The History of the Peloponnesian War . Translated by Richard Crawley. New York: Barnes & Noble Books, 2006. Toynbee, Arnold J. Hellenism: The History of Civilization . New York: Oxford University Press, 1959. Zinsser, Hans. Rats, Lice, and History: A Chronicle of Pestilence and Plagues . New York: Black Dog & Leventhal Publishers, Inc., 1996. Here's something to cut your enthusiasm short. At an early date in Greek history, Greeks had developed a dislike for monarchy, the rule of a single king, which was the standard form of government in the ancient world.